Asia Pacific Incentives and Meetings Event (AIME) has overhauled the way that exhibitors take part in the event, sharpening the focus to a positive return on investment. The new vision for AIME drives commercial outcomes and is realised through challenging previous conventions and drilling down to the fundamental purpose of AIME – to bring the right buyers to the right exhibitors. “The industry is asking for change, to once again have an event that is really worth attending,” said Jay Martens, AIME Event Director. The new exhibitor packages include 32 pre-scheduled appointments with quality, vetted international and local buyers who want to bring their business to the Asia Pacific region. They include access to all the social and networking events and the pre-eminent Knowledge Program, creating more moments for shared experiences with buyers. All this is presented in sleek new stands, developed with the award-winning design team from Decorative Events & Exhibitions (DE&E). “The modular stands are simple and elegant, yet have the flexibility for customisation so exhibitors can represent their brands individually,” Martens continued. The new design, which draws inspiration from curve-like compositions, promises to eliminate harsh edges, creating a natural flow and bringing an openness to the overall event format – ultimately giving the AIME visitor a more immersive experience. AIME appreciates the ‘one-size-fits-all approach’ won’t be suitable for all exhibitors and will continue to offer the option for those who want to design and build their own stand. 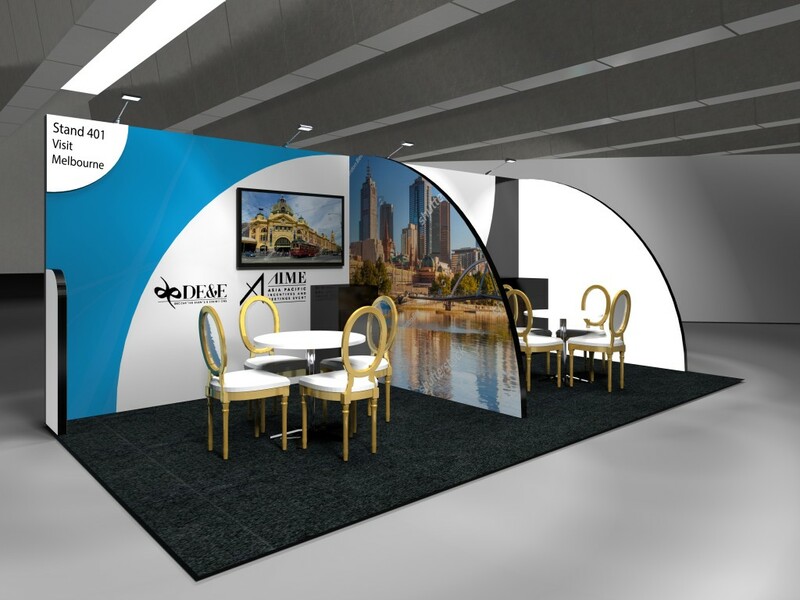 AIME is the first event to kick off the 2019 business events calendar, will be running 18–20 February, and is a must-attend event for buyers and sellers who want to do business in the Asia Pacific region.